This commanding debut novel paints a portrait of the Japanese internment camps unlike any we have ever seen. A haunting evocation of a family in wartime and an unmistakably resonant lesson for our times. Julie Otsuka's commanding debut novel paints a portrait of the Japanese internment camps unlike any we have ever seen. With crystalline intensity and precision, Otsuka uses a single family to evoke the deracinationboth physical and emotionalof a generation of Japanese Americans. 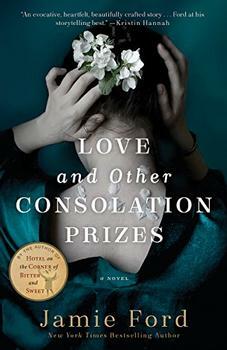 In five chapters, each flawlessly executed from a different point of viewthe mother receiving the order to evacuate; the daughter on the long train ride to the camp; the son in the desert encampment; the family's return to their home; and the bitter release of the father after more than four years in captivityshe has created a small tour de force, a novel of unrelenting economy and suppressed emotion. Spare, intimate, arrestingly understated, When the Emperor Was Divine is a haunting evocation of a family in wartime and an unmistakably resonant lesson for our times. It heralds the arrival of a singularly gifted new novelist. The sign had appeared overnight. On billboards and trees and the backs of the bus-stop benches. It hung in the window of Woolworth's. It hung by the entrance to the YMCA. It was stapled to the door of the municipal court and nailed, at eye level, to every telephone pole along University Avenue. The woman was returning a book to the library when she saw the sign in a post office window. It was a sunny day in Berkeley in the spring of 1942 and she was wearing new glasses and could see everything clearly for the first time in weeks. She no longer had to squint but she squinted out of habit anyway. She read the sign from top to bottom and then, still squinting, she took out a pen and read the sign from top to bottom again. The print was small and dark. Some of it was tiny. She wrote down a few words on the back of a bank receipt, then turned around and went home and began to pack. The introduction, discussion questions, author biography, and suggested reading list that follow are designed to enhance your group's reading of Julia Otsuka's When the Emperor Was Divine. We hope they will provide fruitful ways of thinking and talking about a book that brilliantly explores the experience of Japanese Americans during World War II. Crystalline.... precise but poetic.... resonant and beautifully nuanced. ... the narrative remains stubbornly at the surface, almost like an informational flow, causing the reader duly to acknowledge these many wrongs done to this unjustly uprooted and now appallingly deprived American family-but never finding a way to go deeper, to a place where the attention will be held rigid and the heart seized. The novel's themes of freedom and banishment are especially important as we see civil liberties threatened during the current war on terrorism. Otsuka's clear, elegant prose makes these themes accessible to a range of reading levels from young adult on. Highly recommended for all libraries. 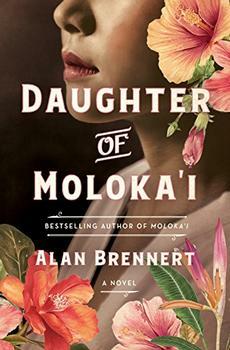 This heartbreaking, bracingly unsentimental debut describes in poetic detail the travails of a Japanese family living in an internment camp during World War II, raising the specter of wartime injustice in bone-chilling fashion.